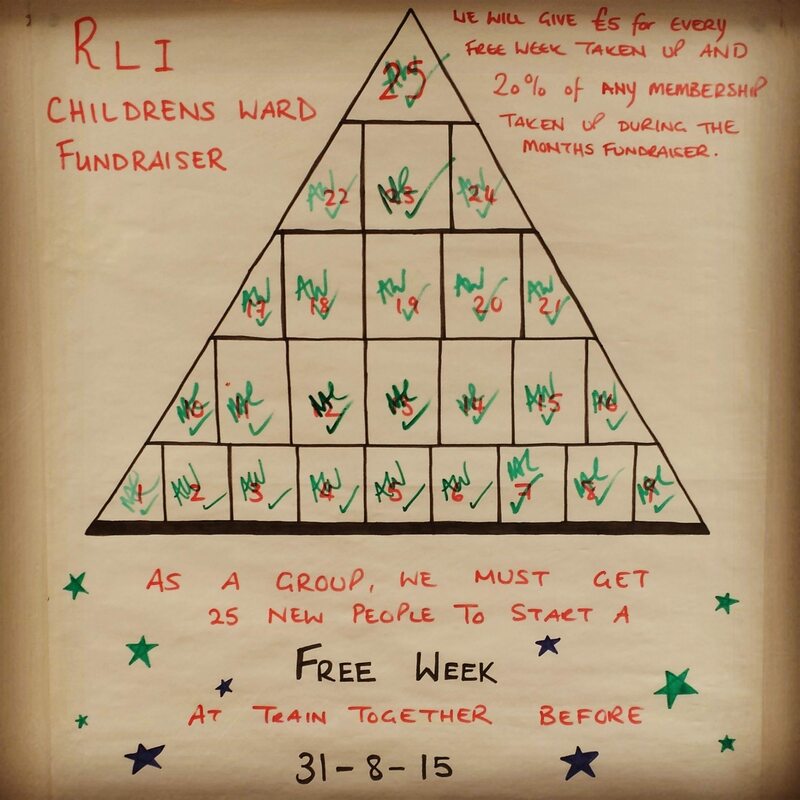 RLI Summer Charity Fundraiser SMASHED! Our RLI Summer Charity Fundraiser couldn’t have gone any better. With 30 new members this month, read about how giving away a free week at our gym meant we could support our local hospital! This August has been all about raising money for charity, and in the best possible way – we have been giving out fistfuls of free week passes for our gym and contributed to charity along the way. The challenge: get 25 new members through our doors and enjoying a completely free week of classes and gym. For every free week taken up, we’ll be donating £5 to the Royal Lancaster Infirmary Children’s Ward and we’re not stopping there… For every person that signs up after their free week, we’ll give a whopping 20% of their entire membership! Our team of members here at Train Together are really fantastic and we couldn’t have done it without them. By the 22nd August we had reached our target and are now seeing 30+ new faces in our gym. We are so proud of all of our members, here at Train Together, and want to give an especially big thank you to Chris Mayne! Last month we had a rowing competition – try to beat Neil’s impressive rowing distance in 1 hour. Of course, this was no easy challenge! Chris was crowned Train Together’s rowing champion and managed to take over Neil’s target with an impressive 14,779m (bagging himself a free month at Train Together worth £40)! To help us raise as much as we can for the RLI Children’s Ward, Chris has kindly donated his winnings to the fundraiser – meaning that another £40 will be heading across the road to support our hospital. Just another reason why we love our members at Train Together! We’ve so far raised £207. Shooting past last year’s jackpot by £52 and there’s still time to help us raise more! If you’re enjoying a free week at Train Together, don’t forget to sign up before 31st August. Get your membership now at our on-line shop and stay tuned on our Facebook page to hear exactly how much we raise next week.